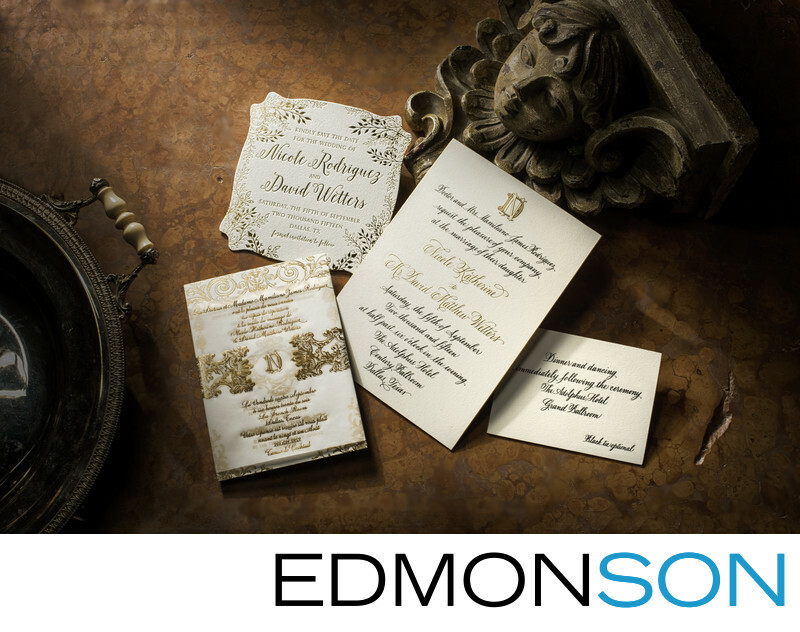 The combination of the white wedding invitations and elegance of letterpress stationary including save the date cards uses Gold foil leaf to provide a sense of opulence to the event. The text is shown in English and French for an additional touch of flair. 1/4; f/16.0; ISO 125; 50.0 mm.